Recently I purchased a 2016 Hyundai Sonata Sport from Schomp Hyundai. My experience was outstanding, as the salesman I worked with, Attila Szabo was professional, courteous and absolutely executed this sale with no problems, was very convenient and was in ind out of dealership in a very timely, manner, and I could not be more happy with the entire process!! This is the 5th car I have bought through Shortline/Schomp, and the 3rd car I have bought from Attila. Attila you are truly amazing at what you do, and this is why I continue to come back to you!! Attila/Schomp thank you for everything, and I love the purchase of my 2016 Hyundai Sonata, what a beautiful car!!! Attila, you ROCK my friend!!! This is the third time I’ve worked with Attila and each time it’s been the best experience at a dealership I’ve ever had. He is patient and listens and is upfront about everything. There’s no pressure or unwelcomed surprises at the end. He’s super helpful with the vehicle and shows you all the new tech and upgrades. Not only is the whole process so easy it’s so efficient that you’re not spending the whole day sitting and waiting around! Thank you for a great experience! 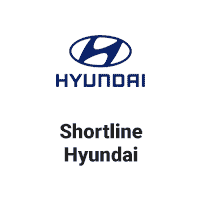 I highly recommend Schomp Hyundai and Attila! Went in to get my daughter a car and was very pleased with the service. Chase was professional, personable, not pushy and had a lot of patience with us. He spent the majority of the day with us finding my daughter the perfect car on her birthday. He was understanding that we wanted to look at some other places, even giving us some tips to watch for. Thank you Chase for such a great experience! This is my first time here at Schomp Hyundai and I have had interactions with both the service team (David and Alec) and sales team (Gladys and Mathew) all in a matter of days and they are very friendly and helpful. We had the best car buying experience here last night that we've ever had. Attila helped us out and he was incredibly knowledgeable about the cars and everything was very straightforward and easy. No going back and forth about prices and fees, just honest upfront answers and a quick turnaround. 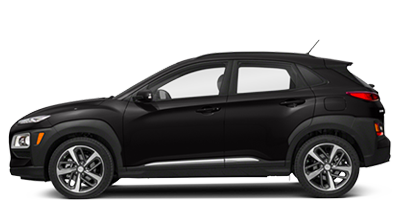 I'm so excited about my new car and highly recommend Schomp Hyundai and Attila! We went in for a test drive and bought a 2017 Hyundai Santa Fe Limited Ultimate AWD. Attila was pleasant, easy going, and a great sales associate, and I recommended him to anyone in need of a vehicle. Felt no pressure, and he had exactly what we were looking for, so it felt right.